Our goal is to understand how microbial cells interact with one another in the context of human disease. Research areas include bacterial-fungal interactions, interactions within genetically heterogeneous microbial populations, and the development of new ways to analyze complex microbial communities and populations in clinical samples. Below are examples of our on-going projects. 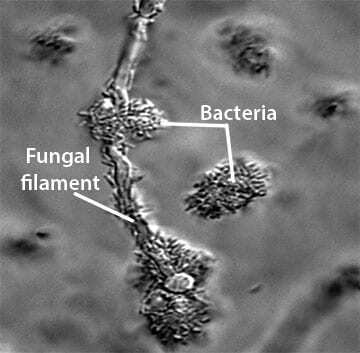 Though the fungus Candida albicans most often lives benignly in host-associated microbial communities, it has the potential to cause a range of localized infections, and a disseminated, systemic disease that impacts multiple organs. We are interested in how the behavior of C. albicans is influenced by the chemical and physical cues generated by other cells in the C. albicans population or other microbes, particularly bacteria, in the community. Our long-term goal is to discover strategies for the manipulation of microbial populations or communities in beneficial ways to prevent C. albicans infections, to mitigate the severity of infections, and to identify new ways to the control these infections once they have occurred. Pseudomonas aeruginosa causes a wide range of infections and is a particularly problematic pathogen of the lung in compromised individuals and in individuals with the genetic disease Cystic Fibrosis. We are interested in 1) novel pathways that activate Anr, a transcription factor that promotes metabolism under microoxic and anoxic conditions, 2) understanding naturally-occurring variants with high Anr activity, and 3) identifying novel Anr-controlled pathways that promote virulence and growth in low oxygen. We are collaborating with Casey Greene in the development a machine learning-derived model for the analysis of P. aeruginosa gene expression using publicly available gene expression data. Our goals include learning more about how P. aeruginosa and other bacteria change in the presence of other microbes and in the host. 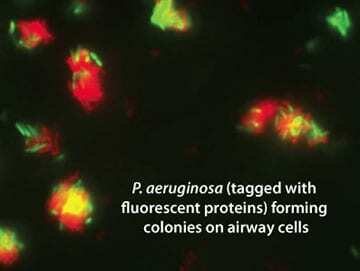 Our recent work has developed methods and tools for the characterization of bacteria and fungi in the CF lung and other clinical samples. 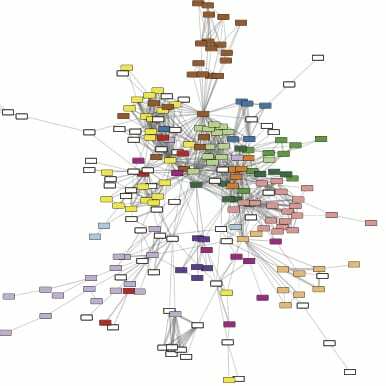 We have developed strategies for the analysis of microbial gene expression using the Nanostring technology in clinical samples, an improved database for the analysis of fungal populations, an RNA based method for profiling microbial communities.